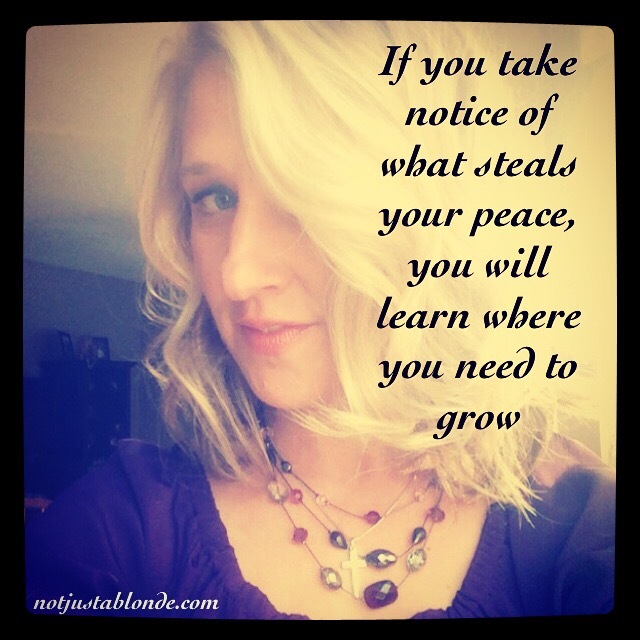 Take notice of what steals your peace and you will learn where you need to grow. Once this enters your consciousness situations that challenge you to grow will appear. You will have infinite opportunities to learn the lessons needed to embrace the Peace that you are entitled to as a child of the Spirit. Worry not that you will be left to learn these lessons all on your own! God will always provide you with what you need to accomplish any spiritual task that is within His Plan for your life! Take notice of where pain is entering your life. Release it to God and take notice of the miracles that appear to help you remove all blocks towards Peace. These miracles may appear as people that cross your path or resourses that manifest when you have a need. These miracles are gifts from God to help bring you the Peace that is your inheritance as one of God’s beloved!